AVAILABLE FOR COACHELLA! This amazing estate is perfectly landscaped to provide privacy, and the perfect environment to share with family & friends. As you enter the spanish double door entry, you will be welcomed to a perfectly manicured lawn, worthy of hosting a wedding or special event. 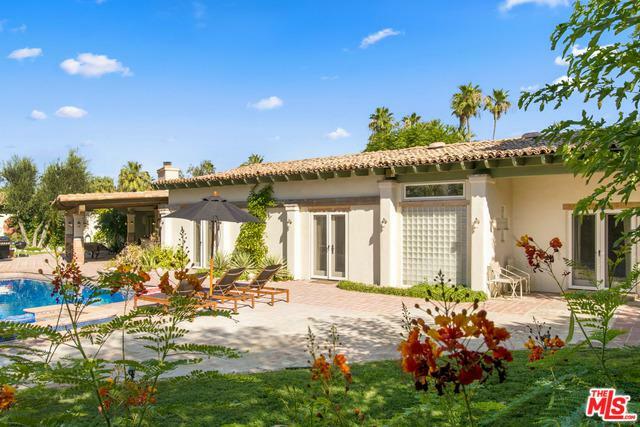 The home offers a Spanish flair and is perfectly appointed with everything you will need to make your Palm Springs stay as memorable as possible. 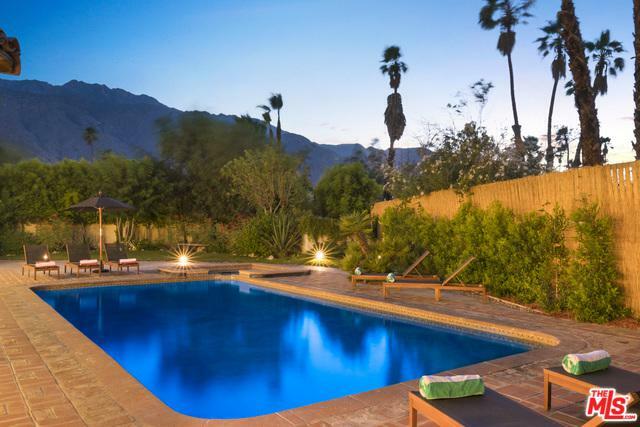 The backyard showcases the amazing San Jacinto mountains and offers a sparkling swimming pool and spa with a pool table in the covered lattice patio to entertain you and your guests while basking in the rays of the amazing desert sun. Listing provided courtesy of Ideen(Eddie) Toudeh Fallah of The Lux Group, Inc..